One of the biggest coin tosses when it comes to websites, SEO and consumers is do I build my site for content or conversion? The type of website you build (lean, stark and mean or robust and authoritative) depends on (a) the anticipated volume of content (b) the topic or topics covered (c) how prominent certain segments or pages are and (d) what the ultimate ranking objectives are for search engine optimization. Let’s explore a few options below. If you have a robust site, then making sure you keep the site architecture and naming conventions flat enough to capitalize on the value of the depth of the content by funneling the available link flow to the root folder or an ideal page landing capable of translating the intent of the collective content into a semantic beacon. Wikipedia serves its purpose but maybe a stark visually appealing image-centric site with minimal text and a shopping cart based core is really what you need. Conversion is the measuring stick, what happens to facilitate it, is up to you as the webmaster. The balance of visual appeal, appealing design and incorporating enough information to make an informed decision such as product dimensions, make, model, color choice, delivery time, summary, the outline of services or timeline for deliverables (if a service is offered) is the priority for conveying the needed signals for conversion. On the contrary, by cluttering a page with redundant or inaccurate information that does not address the emotional needs of the end user, you provide them with no proposition of value and that is what drove them to search for something in the first place. For conversion keep a site lean, but use deep silos or subsections of a site that are segmented enough to produce enough term weights which will allow you to execute some on page sculpting later down the road. There are two reasons to create new content in a website (1) to topple a competitive keyword that requires a more concentrated occurrence of semantic usage or related phrases or (2) to facilitate conversion. Don’t confuse the two reasons as they are not interchangeable. One thing we see a lot of is people binding too much to a particular page or trying to go back and make changes to aged pages to squeeze more out of them. While the notion is noble, every time you change an aged page in your website, there is a 50/50 chance that you removing some element of trust that is propping up a ranking for another page. By changing links, you shift link flow, by changing the content; you take the chance of skewing the market focus or topic of the page. Each keyword has a place and based on the proximity (which keywords are first or around related keywords), the title, the inbound and forward/internal links leaving the page all create a distinct signature. If you disrupt that signal as a result of constantly editing or changing multiple pages, you can also disrupt the trust your page has (which is the propelling force in search engines). Tactful SEO content or SEO copywriting services can salvage a site from theme diffusion. The takeaway is, it’s better to build it right the first time than have to go back and try to stop the leaks or use band-aids to perform major repairs down the road. 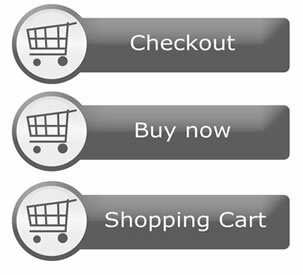 I have seen horror stories manifest due to dated shopping carts and CMS systems that lock a user into their way or the highway and after you have vested and built a site on a certain platform, the notion of changing it is daunting and intimidating (since all of your cards could crumble from disrupting search engine trust). There are solutions and workarounds to virtually any demise, but keep in mind, no one said that you have to keep a site the same way or that you cannot make granular changes to patch areas that are lacking by creating a new segment or subfolder of a site to act as an SEO beacon or supplement vital ranking factors. If you can (a) add content to the body area of a page (b) alter the internal links on each page (c) control the title and descriptions independently and (d) control the navigation or add images to use as secondary navigation on key pages, then you can salvage a site with SEO. Previous Article Gain Access To Michael Campbell’s Dynamic Media Vault!